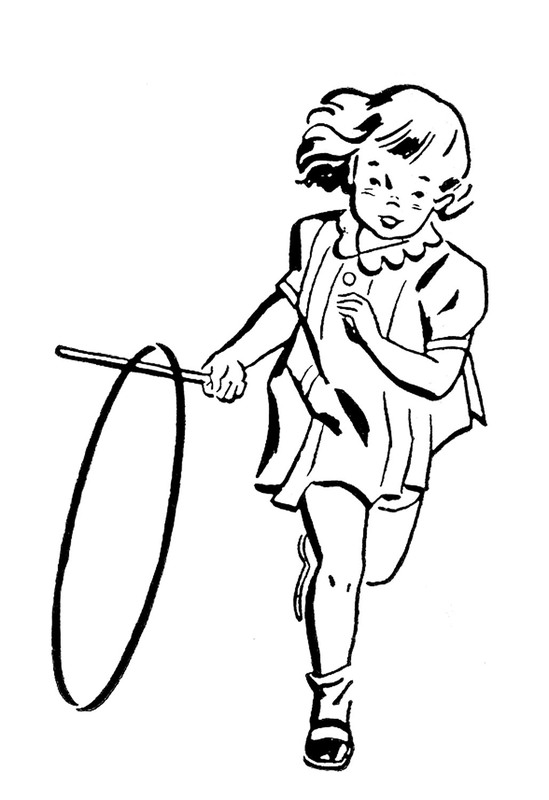 Here are 3 cute Retro Kid Images from a 1940’s Vintage Printer’s Book! Shown above are a Boy and Girl, Gardening with their Watering Can. 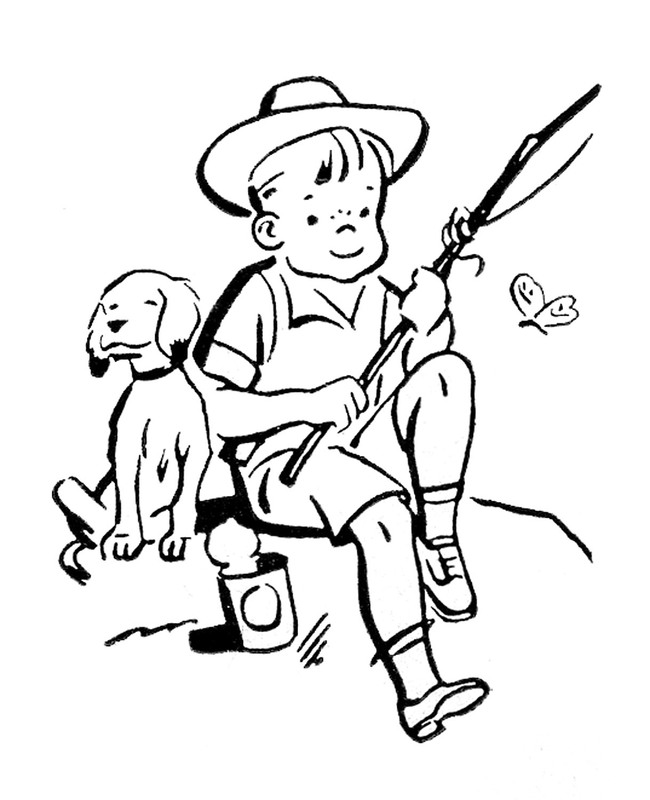 In the middle is an adorable little Boy, Fishing with his Dog. 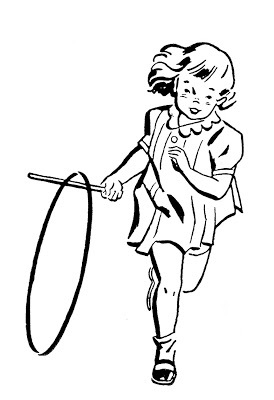 And the last one is a cute Little Girl Playing with her Hula Hoop! I think these would be great to use for Spring or Summer Cards or Scrapbooking Projects! You can find more cute Retro Kids HERE. In Other News: You might also like the Nostalgic Grocery Sign Printable that I posted on my DIY Blog today! 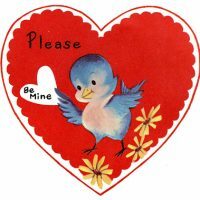 Retro Pansies Graphics Set – 7 Pieces -1950s-1940s 9 Retro Valentines with Animals! Vintage Sewing Mannequin Graphic! Haven’t visited in a while. Glad to see you’re still busy with the wonderful graphics. I just love images like these. Even the little dog is having fun fishing with “his boy”. Thanks for posting these, Karen. Love these prints, Karen! Thank you!